If you want to change the password needed to connect to your LTE Internet's Wi-Fi network, view this info. Access the LTE Internet (Installed) router configuration main menu. Refer to Access the LTE Internet (Installed) Router Configuration for additional assistance. Click Wireless Settings (located at the top). 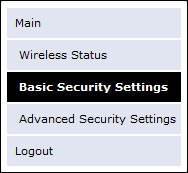 Click Basic Security Settings (left menu). 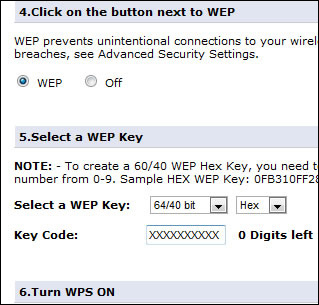 Under "Select a WEP Key", enter the desired Key Code (Wi-Fi password) then click Apply (located at the bottom). 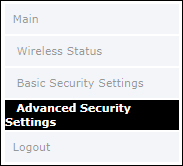 Click Advanced Security Settings (located on the left side). 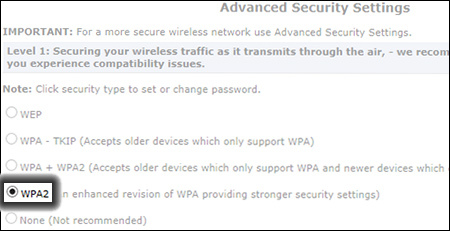 In the Level 1 section, click WPA2. Enter the Pre-Shared Key (the password) then click Apply.